Finally we saw a bit of a weather break–102 one day, the 80 the next. It is supposed to be back to 100 on Saturday, then into the 80’s the next day. You need the AC by day but can open all the doors and windows the nex t day. Crazy weather! Of course, this is the time of the year when you really want to get started with new projects. When we start to cool off ( that means in the 80s in lower Sonoran Desert speak) we want to start making sweaters, wrist warmers, etc. I know, sounds kind off kooky to those who live with seriously cold weather, but I want to light the fire when it dips below 80! 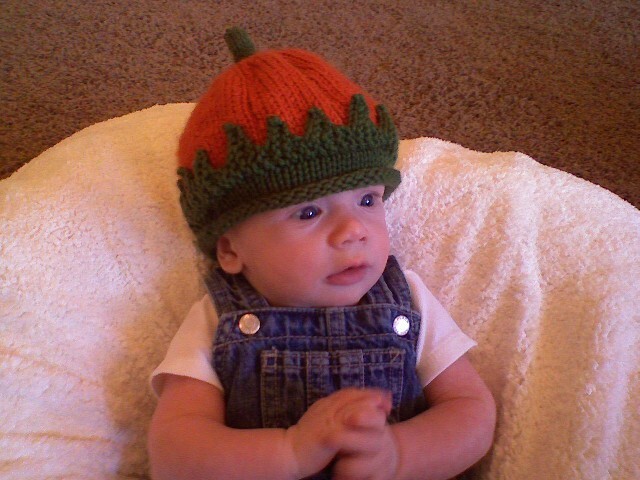 Here is my first hat of the season to the #1 little guy in our lives—Jackson is now 3 months and coos when cooed to. He gets cuter by the minute! Scroll down to the last entry, July 8. This shows him at about 24 hours, he came after the 35th week, so he was a little one indeed. He is catching up really fast though. He will alwThe green is Swish from Knitpicks and the orange is Lion Brand’s Vanna White line. He will be getting more holiday themed hats–a turkey hat from November, and of course the traditional Santa hat and maybe a Christmas Tree hat. 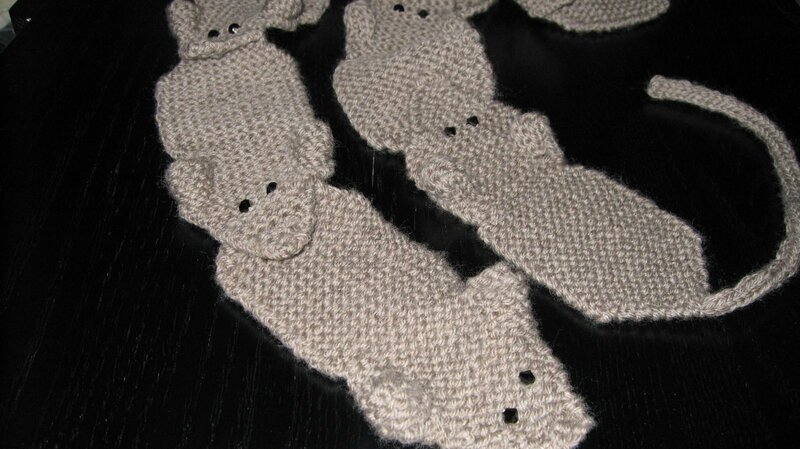 It is so fun to knit or little ones—the projects are so small that they go really fast.